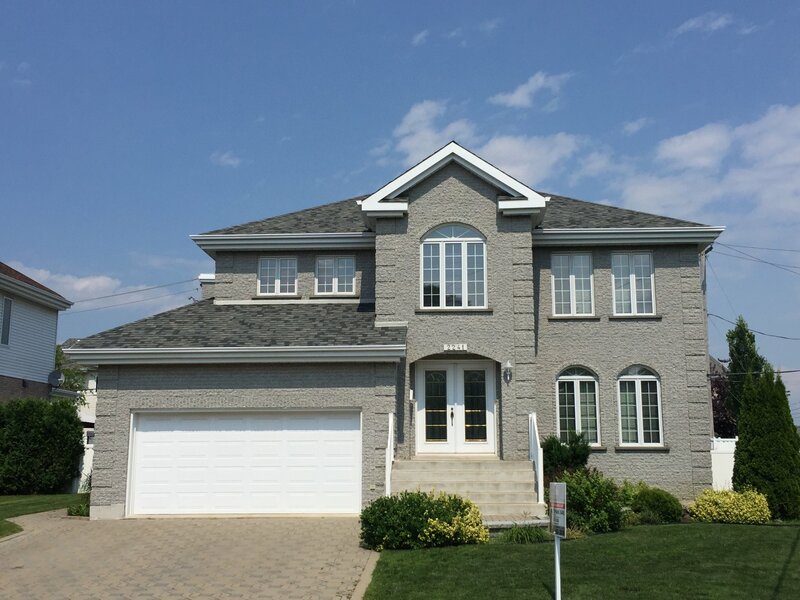 Do You Like This Sumptuous House for Sale in Laval? Wait Until You Discover the Backyard! Located in the quiet Vimont district of Laval, a stone’s throw from the large park of Lausanne, this superb house for sale has all the qualities people are looking for in an attractive living environment. You will be astounded as soon as you enter this splendid house… You will be greeted by a beautiful staircase and by the brightness that fills the entire space. Abundant windows let you enjoy the natural sunlight throughout the day. You will also notice the beautiful ceramic floor, which you will find in several rooms on the ground floor. The vast kitchen is sure to live up to your expectations! With the many cabinets, you won’t have a problem finding a place for every thing! The kitchen island practice provides all sorts of space for everything from meal preparation to after-school homework. What an ideal room for concocting delicious dishes for your family! From the dining area, you can easily admire the landscape through one of the windows or through the French doors leading to the outside terrace. The living room and dining room share a beautiful open area where the wooden floor is enhanced by all the natural light flooding in. Also on the ground floor, you will find a cozy bathroom and a convenient laundry room. In the basement, you can give your imagination free rein! A thousand and one possibilities are open to you! The family room will quickly become a family favorite for movie nights or even to have fun around a board game! A fifth bedroom (which can become a large exercise room! ), a workshop (perfect for the do-it-yourselfer! ), as well as two cold rooms are also present in the basement. And what about the backyard? Is this not the backyard you’ve always dreamed of? The in-ground pool and large grassy area are sure to make everyone happy! Unforgettable moments with family and friends await! Do not miss the chance to buy this home! Spacious rooms, ample storage space, beautiful lighting throughout the property, and, of course, the backyard, make you dream of a comfortable living environment. Located near several green spaces, the Cité-de-la-Santé hospital, several schools, and various shopping centers, this is the perfect choice for your family! You will also have easy and quick access to Highways 19 and 440, and public transportation to the City of Laval. You will find all the details of this property located at 2241, rue de Marbella in Laval for $639,000, by consulting its listing (MLS # 24660241) and by contacting Stéphane Baril, real estate broker Groupe Sutton Excellence Inc. Entirely made of bricks, this handsome home for sale will charm you at first glance; A must see!